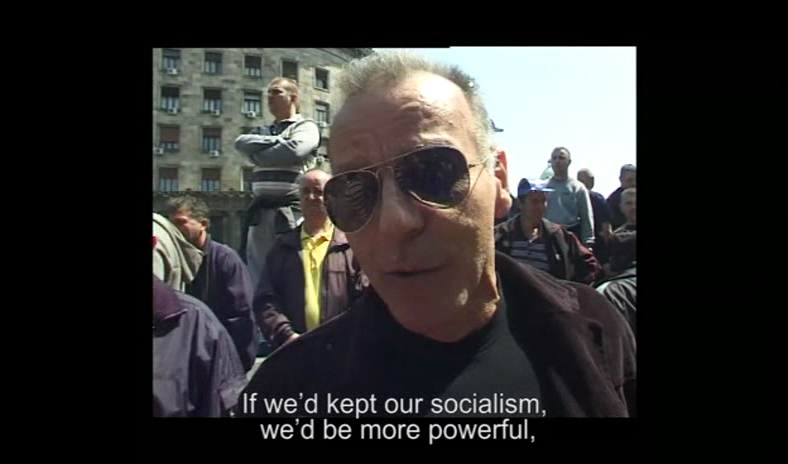 In a playful, often hilarious mixture of documentary and fiction, the film maker Zelimir Zilnik traces sanctifying capitalism, sold to the Serbians after the disappearance of state socialism as the great new god. 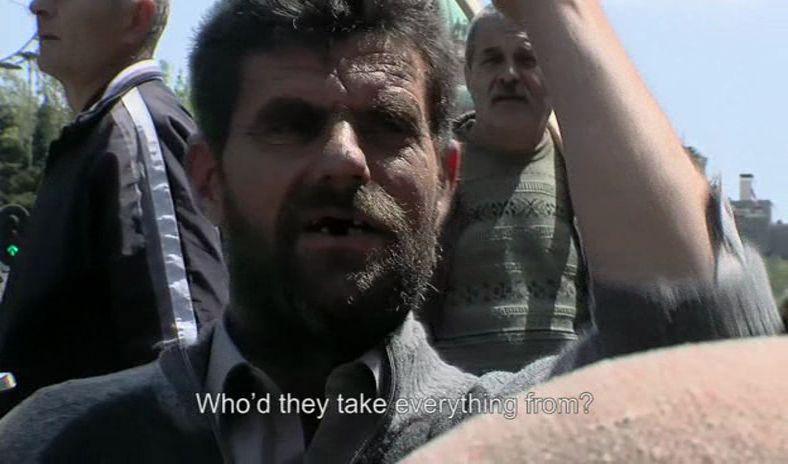 As a background for his story, Zilnik uses a number of strikes that took place in Belgrade in recent years and introduces us to several people involved who are allowed to ‘play’ themselves. That leads to explosive situations. Employees dressed in American football kits come to settle up with their employers with gangs of heavies in bullet-proof vests. But the factories have already been emptied. 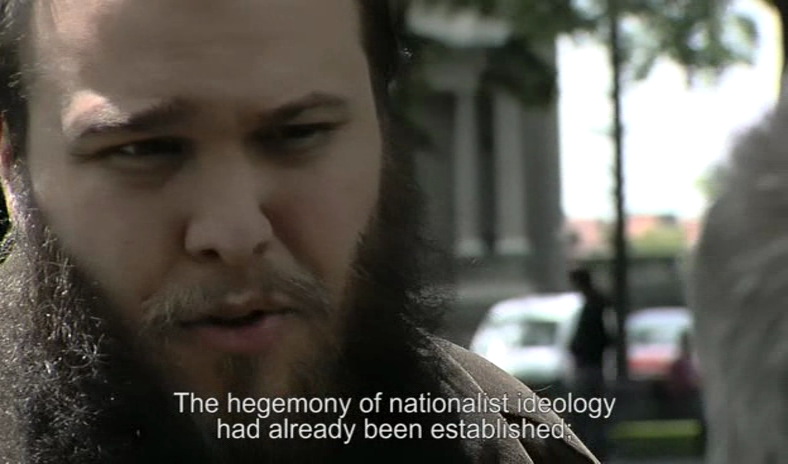 In the film a group of Belgrade anarchists from the group ASI-MUR play themselves. 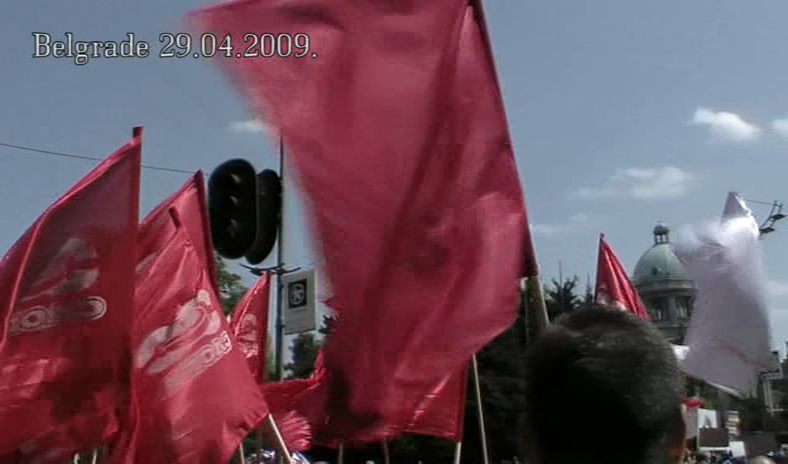 On 3 September 2009, six members of the ASI-MUR, including IWA General Secretary Ratibor Trivunac, were arrested on suspicion of international terrorism, a charge which was heavily disputed by the international and other anarchist groups. file no longer available on both servers. please fix this.